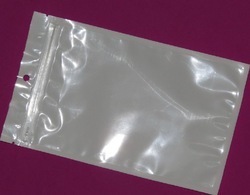 Pioneers in the industry, we offer BOPP Bags such as BOPP Bags With Pearl. Pioneers in the industry, we offer BOPP Bags such as BOPP Bags With Tape. BOPP Bags are highly efficient and durable in terms of usage and can be made available in different dimensions, colours and size options. 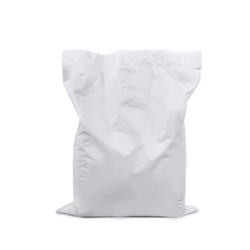 With the bags developed using quality BOPP material, these come with good finish appearance as well as have optimum waterproofing support and dimensional stability properties. Coming with superior physical properties including optimum waterproofing support and dimensional stability. Hosiery BOPP Bags find the high preference in meeting the packing needs of different types of hosiery and garments being manufactured in the production units. Here, our expertise also lies in making these available in custom finish specifications depending upon specific requirements in terms of bag size, printing support required as well as an option of self-adhesive tape. 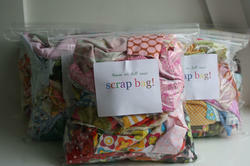 Further, these bags are also light in weight and can be reused a number of times. 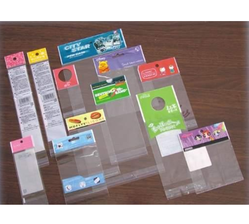 Pioneers in the industry, we offer BOPP Bags such as Bopp Printed Ziplock Bag. 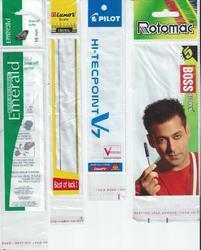 Stationery BOPP Bags are available with a self-adhesive strip which ensures these do not wear out quickly. 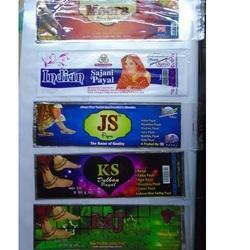 Payal Packing Bag is made available by us in a comprehensive range of choices as per the specific demands of the customers. As high-quality B.O.P.P. 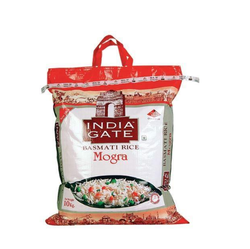 bags, these come with international quality standards and made available in food grade and recyclable material finish. Further, as these come with cardboard bottoms, the bags also feature stand-alone properties as well as come with advantages like superior finish strength, printing and transparency support. Our firm has been continuous gaining appreciation as the prime producer of Flour Bags in the domain. 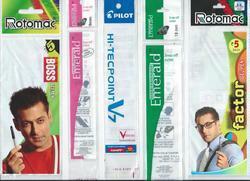 We are the Leading Manufacturer of BOPP Laminated Bag for Industries and Exporters. We are the Leading Manufacturer of Scrap Bag for Industries and Exporters.We do make only customised bags, according to customer requirement. 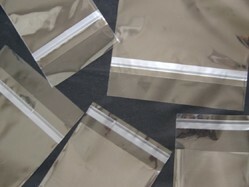 Pioneers in the industry, we offer BOPP Bags such as Sim Card Cover. 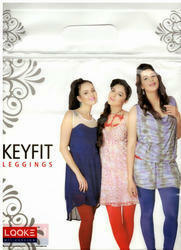 Mayank Plastics offer the best quality garments packaging bags.